Keneilwe Motshoeneng participated in the Enterprise Programme when she was in Grade 10 and then went on to complete other JASA programmes. While studying towards her BTech and Business Administration Degree Motshoeneng is running two companies: Keneilwe M Events and Pause Think and Reflect. She also applied for an opportunity on the JA South Africa Facebook page to participate in the Power of 50, an Umuzi Photo Club initiative, in partnership with Vega School of Brand Leadership and the Da Vinci Institute. This innovative 12-month project develops 50 talented young people to become the next generation of creative professionals, combining essential artistic skills with on-the-job training and placement opportunities for graduates within the professional, creative industry. 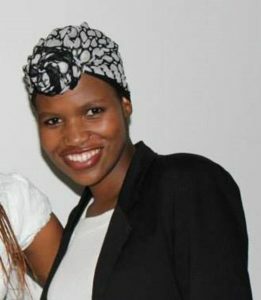 Motshoeneng was inspired to apply as a result of the filmmaking conference she attended in 2010 in Bulgaria with JA and the International Management Institute.